What is comfort food? Everyone has their own definition, although some of you may not be familiar with the term. You know you’ve eaten comfort food when your brain says: “Oh man! That brings back memories.” For me, comfort food makes me relax, and it brings my guard down. It could be the food your mom makes, or that you remember eating at your grandma’s house. Its the food you serve yourself seconds of, or thirds. Its the “must have” food when you have returned home from a long trip. I’m a sucker for Latin food. Its probably my heritage, but the food just tastes so darn good to me. On a recent trip to Puerto Rico, my wife and I visited Luquillo beach, a long stretch of beach in the shadow of El Yunque rain forest, unspoiled by hotels, and popular for its tranquil waters, palm trees, and local food. The beach is lined with about sixty food stands, all serving just about the same food, but each attracting its own share of beach-going families who return to the same exact eatery for one reason or another. The smells are incredible, and the food consists mainly of fried food, rice, seafoods, and beer (lots of beer). 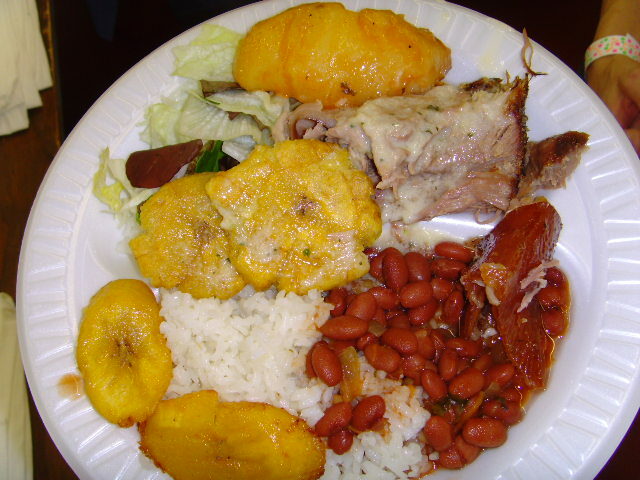 Which brings me to tell you about Beto’s Comida Latina.